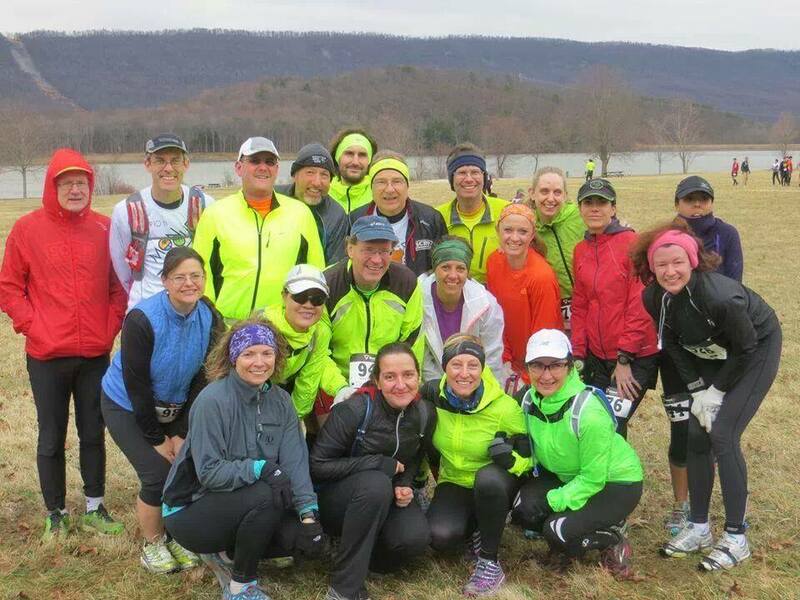 On April, 5, I did the Dirty Kiln Race Half-Marathon that takes place in Canoe Creek Park near Altoona in Pennsylvania. I signed up in December, registration fee were $25. The race starts at 09am, so, I have to drive very early in the morning or drive the day before if you come from Pittsburgh. I did the latest to make sure I get a good night of sleep. Packet pick up starts at 0745am and you can get your bib until the start of the race. Two races take place: a 5 miles and a half-marathon. Both share the same route. The packet/swag contains a tech t-shirt, some magazines and ads. For $25, considering the support for the race, the organization and the water-stop food available, this is one of the best deal ever! The Cook Forest half was $30 and did not have a tech t-shirt (only a regular t-shirt), no medal did not have so much organization (think about putting flags all over the route on the trail …) and did not provide so much food as well! This is not a critique for Cook Forest which was a great race but rather to point the fact that the Dirty Kiln is definitively very cheap while providing many things you usually do not expect at that price. The race itself is very muddy, and many runners will fall and get mud on their hands. Also, you have to pass several water streams, which can be challenging because they can be very high and difficult to cross. So, you will be definitively wet after your run and that can be hard during the first miles. The race is pretty hilly (see the workout with the elevation profile on mapmyrun) and you will have to walk part of it. During the race, there are several water stops with cookies and other food. There are water, gatorade, oreos and other junk food for trail runners. I chose to run with my Hoka Stinson Trail and this was definitively a good choice: I did not feel any big impact even running down the hills. Definitively a great shoe, either for trail or road running. The support all over the course was great (lot of volunteers, the course was marked everywhere with signs). On the nutrition side, if there was plenty of food available on the race, I did not eat that much because the distance is very short, so, you did not really need to get anything. I just satisfied a craving by taking one Orea and it was sufficient to make it to the finish! Also, as you eventually fall, your hands are just covered by mud, so, this is probably not the right time to get any food with your hands. At the finish line, you get a finisher medal that shows your accomplishment. Also, you can get your time, get food (pizza is provided by a sponsor) and take a shower. It was so freezing that I just go in my car and drive back. On the other hand, this is a very friendly event and with a better weather, that will be great to hang out with other fellow runners. Shorty after the race, the results are posted online by Miles of Smiles and photos are available online for free. So, no spam from any organizations asking you to pay an insane and ridiculous fee for your picture, you just get it online easy and for free. Also, a lot of people posted pictures and videos from the race on the facebook page, which shows also the support of the community! This aspect just shows that this event is done by trail runners for trail runners and just want to share their passion of running by making a nice and friendly event. Just loved it! If you are living around and love the race, you should definitively add it to your calendar. Friendly, with a nice course with marks so that you are not lost. Support from the community and everything you need during a nice Saturday workout. You just cannot beat that! And I will definitively come back next year if the date fits with my agenda. The pictures/videos added are not the property of the owner of this blog. If you are the owner and do not want them to be published here, please send me a message. Thanks again to the organizers and the volunteers that made this even happen.